Are you a facility trying to keep kids active? Are you struggling to find innovative ideas to motivate kids to exercise? If you’re are, let me introduce you to the Exerbike GS. Exerbike GS is our light-commercial grade stationary bike enhanced with “Pedal-to-Play” technology. It uses magnetic resistance technology and can be used with any XBOX game to create the best workout experience. It’s a great engagement piece for youth programming at your YMCA, Health Club, School, etc. With the Exerbike, gamers are no longer couch potatoes. The concept is simple. All you need to do is activate the attached controller and play your favorite XBOX game. Now you might ask how do they activate the controller? That’s easy all they need to do is pedal. That’s right now kids can play their favorite sport game, racing game, or any game they love while exercising! The kids love it and will want to come back for more. Adjustable seat, and back rest allows users of almost any height to pedal and play. 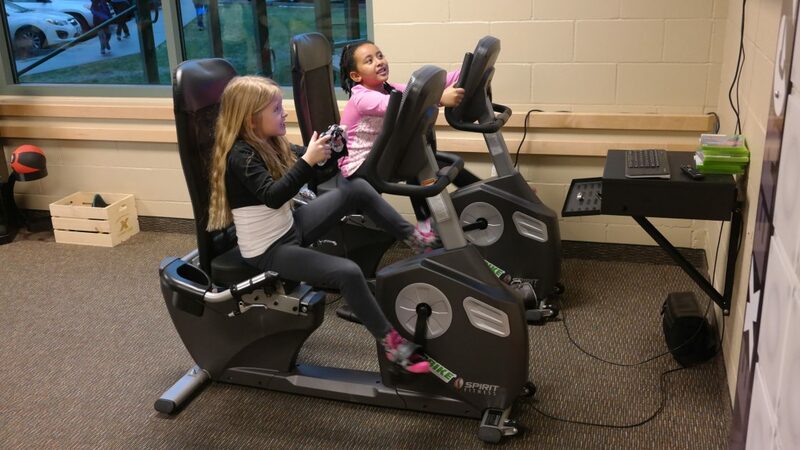 The Exerbike is a very simple way to get kids excited about exercising again. Time to get pedaling! Contact us today for more information.